I put this match-up on Facebook today and just have to share it here too. 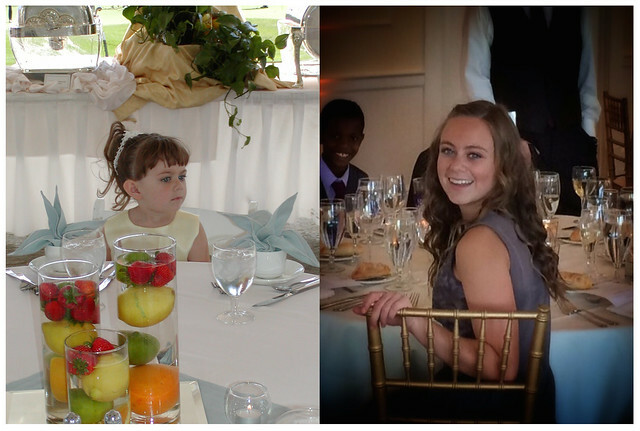 Granddaughter Marissa at two significant weddings—her parents’ in 2002 and her uncle’s in 2014. And she is every bit as lovely as she appears. Make that three significant weddings, adding another uncle’s in 2009. Oh, the joy I find in these discoveries! Oh my gosh, look how beautiful she is, all grown up…can’t believe it!